STRUGGLING TO MAKE A SPLASH ON SOCIAL? It's hard enough to keep up with all of the changes on your favorite social media platforms let alone get noticed through all of the fluff. We have helped hundreds of business grow their business online with our engaging social media strategies and management services. We believe in co-managing your social media platforms. What does this mean? We'll create a structure for you to keep you on track each month but at the end of the day you need to be involved. 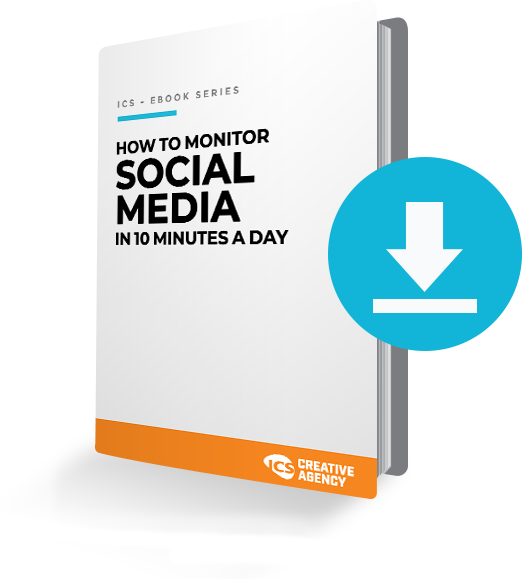 Download our free ebook on how to manage your social networks in under 10 minutes per day. We focus on creating engaging content by relying on industry trends. Ultimately we build valuable relationships with your customers. We have the tools and resources to help you grow! We create a unique social media strategy for your business before the “real work” begins! Once complete, your social media expert will work with you to create a schedule full of content for your business. This could include written content, graphics or even video! With custom reports to view the growth of your networks, we show the value we are creating each month. ICS has helped manage and build our social networks over the last 8 years. Without a doubt, this has created huge value for our restaurants and allows us to focus on what we do best. I highly recommend ICS and do regularly!